Valentine’s Day is almost upon us and it’s time again to ask that same question. What do I do with my hair? What products should I use? If you’ve left things to the last minute and can’t get to the salon, we can help. Here are the top hair tips, tricks and treats from Hairstylist of the Year, Andrew Cobeldick of Rodney Wayne Manners and the Rodney Wayne Artistic team. Keep it simple! Try a beautiful sleek pony. It’s so easy to do, and a pulled back hairdo will reveal your gorgeous facial features and perfectly blended makeup. You can pick a side you want for a side part. Throw some loose waves in the hair and pin it back one side back with bobby pins. This effortless look can give you sensuality and elegance all in one. To complete your gorgeous look, use a Ponytail cuff and add a polished edge. 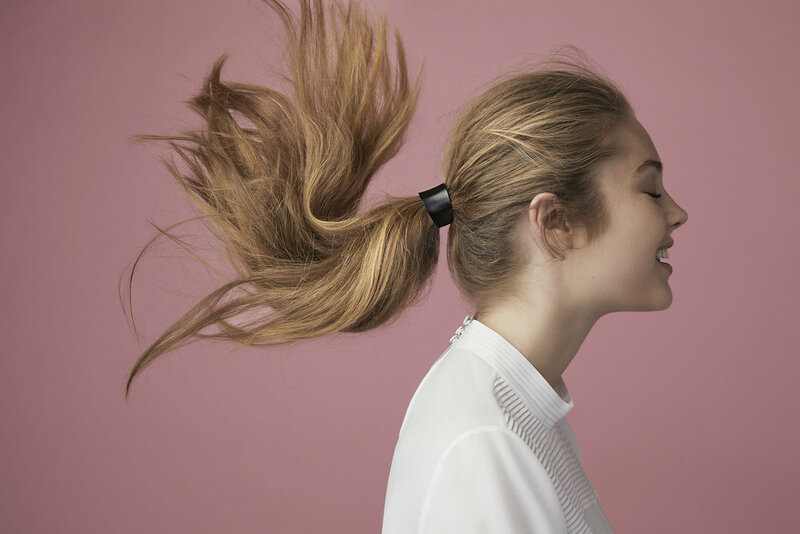 Kokoro ponytail cuffs have a timeless quality. These handmade treasures come in a range of shades to suit your hair colour and make the perfect accessory. If you have longer hair, try the modern ‘Rapunzel’. This low braided ponytail is simple, clean and elegant. It looks so beautiful when finished with a classic ribbon at the ends. Keep your Valentine’s Day hair in place with Redken Triple Take 32. This super-fine mist hairspray will hold your sleek pony, waves and braids without a flyaway in sight. Plus it can be brushed out. Scented with jasmine, orange and sandalwood, it smells delicious too. Another fave haircare product for this time of year is Redken Fashion Waves 07. The nights are still hot and summery so your hair should be too. Redken Fashion Waves instantly adds gorgeous beachy tousled texture. It gives your hair lightweight body and movement, perfect for creating that classic beach wave look. To maximise your time as well as your hair, brush with the new ghd glide hot brush. This professional quality hot brush tames and smooths dry hair quickly and effortlessly. It works at the optimum temperature for styling and eliminates frizz so hair is transformed in just a few quick strokes. It’s hard to beat the feeling of walking out of the salon with gorgeous hair. So why just save the euphoria for special occasions? Make looking and feeling great a priority in your life, and see how it changes the way those around you feel too! 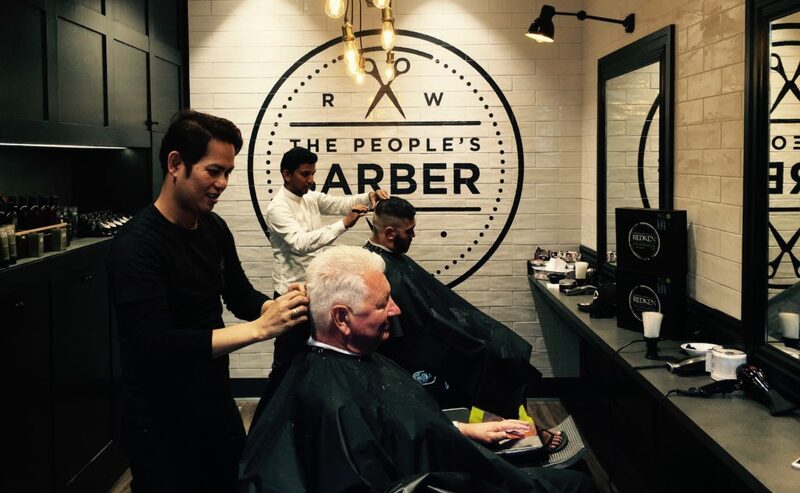 Schedule a regular hair appointment with your Rodney Wayne salon now to bring out your beautiful best. Every time you buy a product or service at Rodney Wayne and every time you shop at Rodney Wayne Shampoo ‘n’ Things you can earn Rodney Wayne Rewards^. They’re rewards that can go towards services and products at both Rodney Wayne salons and Rodney Wayne Shampoo ‘n’ Things. Plus you get access to extra special offers and exclusive products.